When it comes to makeup, hairstyles, fashion and catwalk, RuPaul’s Drag Race is, arguably, one of the best reality shows to look out for! Each week in the show, the best drag queens in the business step out the runway, serving major face and fashion goals and leaving their fans gagging on their incredible transformation. Though the looks you’re likely to see on the show are a bit more exaggerated than the hair and makeup most of us would normally wear, there are a few beauty tips from the queens that you can incorporate into your daily routine. The terms baking or cooking simply means to let powder or liquid-based products sit or heat up on your face before blending. Season 8 contestant Kim Chi known for her incredible makeup skills confirmed during the show that baking is the secret to a successful makeup application. Season 1 star Tammie Brown is an avid user of egg whites to prevent wrinkles and olive oil to remove makeup. According to Brown, you dab the egg whites over your wrinkles and once it is dry, cover up with foundation to help ease their appearance. Remove the makeup at the end of the day with all-natural olive oil. The best highlighters should pull double duty— enhancing your face shape and leaving you with radiant, dewy skin. Serena ChaCha of Season 5 of RuPaul’s Drag Race is known for her effortless contouring skills and carving out her cheekbones. Plus-size drag queen Latrice Royale during her appearance on Season 4 thought fans how to easily get rid of makeup residue with liquid soap. If you’re looking for something cheap to cleanse and purify your skin after wearing makeup all day, look no further than the kitchen sink. Though, we’d suggest steering clear of your eyes and of the delicate skin area surrounding them! Season 7 contestant Miss Fame is a makeup expert in her own right, having assisted many celebrities in perfecting their makeup looks. 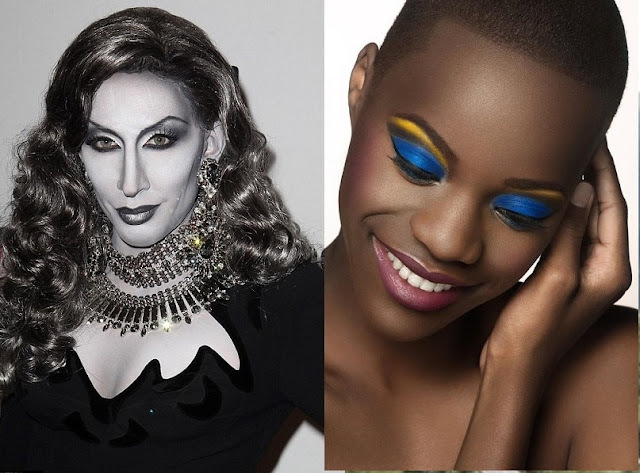 Instead of blending the face down to the neck, Miss Fame advocated for matching foundation to your chest and shoulders since they’re typically lighter than the rest of your body.